Clothing/Jewelry Description A black jacket and jeans. 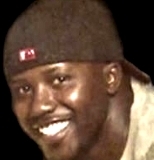 Leonard was last seen leaving a Wal-Mart on Highway 280 in Sylacauga, Alabama at approximately 10:00 p.m. on February 4, 2011. His mother worked at the register there, and she saw him and they talked awhile. The conversation was normal. Leonard spoke to someone on the phone on February 5, the day after he was last seen. He has never been heard from again. A police officer noticed Leonard's black four-door 1999 Pontiac Grand Am on the roadside near a Wal-Mart in the Chelsea, Alabama area on February 6, 2011. When it was still there the next day, the officer stopped to inspect it. It was locked and appeared undisturbed, and there was gas in the tank. When Leonard's mother went his house, she discovered he'd left the lights and the heat on, and groceries and a receipt for them were present. the covers were thrown off the bed as if he'd been asleep and had to get up and do something. He had a set routine before his disappearance and it's uncharacteristic of him to be out of touch with his family, but police can find no evidence of foul play in his disappearance. His case remains unsolved. Updated 2 times since October 12, 2004. Last updated May 24, 2015; three pictures added, details of disappearance updated.